Relentless, handsome and determined, Han sees life—and love—as black and white. Until he finally captures the spirited, courageous Li Feng, who makes him question everything he thought he knew about right and wrong. 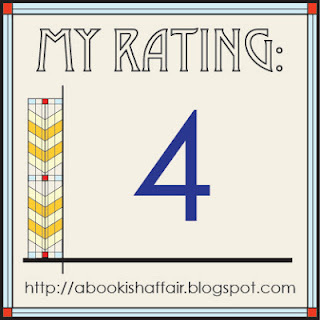 Soon he's faced with an impossible choice: betray the elusive sword dancer he is learning to love, or trust his long-disregarded heart and follow her to dangerous, tempting rebellion..."
Now some of you may have known that I really didn't read romance novels before I began book blogging. It's hearing about books like Jeannie Lin's historical romances set in China that really turned me on to reading more romance books. I really, really enjoy her books. 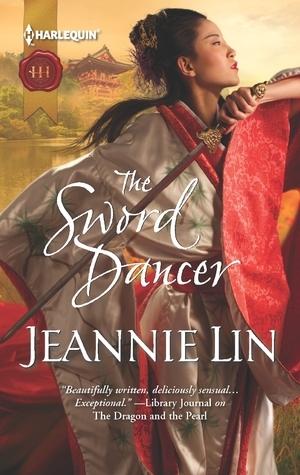 "The Sword Dancer" is a great romance that takes place during the Tang Dynasty. Lin pulls together a lot of great historical detail together with a fantastic love story between Li Feng, the beautiful sword dancer and Han who is torn between love and his duty. I loved following this love story. There are some twists and turns, which kept me reading so I could find out what happened to this couple. The attention to historical detail bears repeating. I do like historical romances but I find that a lot of times, the setting and the historical detail either is there in name only (someone is called a duke or something, which automatically makes it a historical romance, no?). However, in Jeannie Lin's books, you really get the whole package. You get good detail and a good sense of setting. 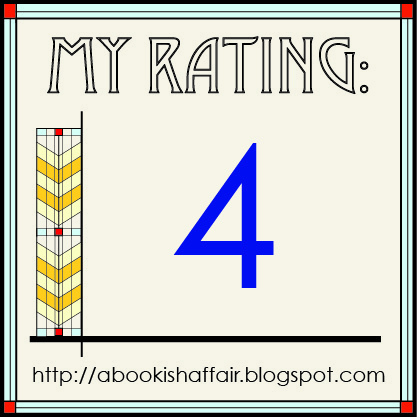 I was very pleased and surprised to see that this book is marked as Sword Dancer #1 on Goodreads, which tells me that there will be more of these books (hopefully continuing to follow Li Feng and Han!) in the future. Color this reader excited! Agreed some historical romances like for example Regency Romance or what I like to refer to as light historical romance take place in era but are no bogged down with historical deets and then their are others like Tudor period romances that have a lot of historical detail. I love books set in the Tang Dynasty period and it demands attention to historical deets..this sounds wonderful! Awesome review. I surely want a copy to check it out too.